← Brother, Can You Spare a Lens? 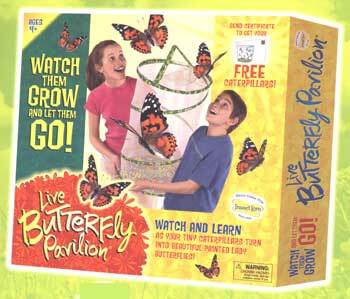 Sometimes my kids ask for something and because I find educational value in what they’ve asked for, I will get it immediately… okay, maybe it’s just because I think it would be fun…… but the point is this, sometimes I just get it for them … A couple of years ago my youngest just had to have a butterfly habitat. 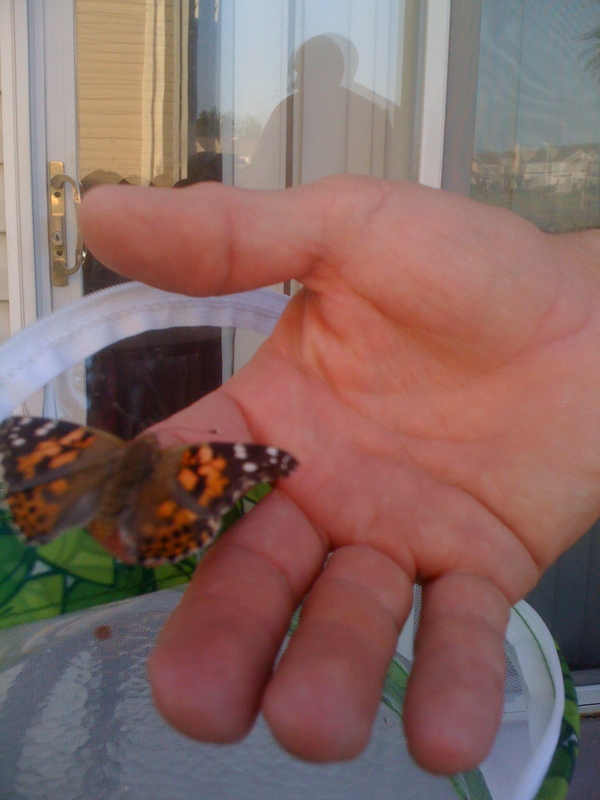 You know, the kind where you watch caterpillars turn into beautiful butterflies right before your very eyes… Yep, we got it and once we got it home the conversation between my husband and I went something like this…. Me: Great, we’re going to have to take this back. Me: They didn’t give us everything. Chris: Yes… what, you thought they came in the box? Chris: How could they have survived in the box like that? Chris: Yes, I’m pretty sure. So the Butterfly Habitat sat empty until one day I happened to luck into a cute, little, furry caterpillar crawling across the driveway. I grabbed it, ran inside and announced my find to the family. Nobody shared my excitement but it didn’t deter me one bit… I was going to watch it turn into a beautiful butterfly and they would all be sorry for their lack of enthusiasm. It lived in the habitat for a day or so. Apparently caterpillars eat more than air because I had no clue what to feed him and, well, lets just say he went on to his eternal reward after grass didn’t satisfy his caterpillar metabolism. No worries though… I did a little research and it was a terrible caterpillar that was a moth larvae that has been a horse killer here in Kentucky….. so, I’m actually a hero… but that is not the point… The point is, I didn’t want to buy caterpillars but the habitat doesn’t work if you don’t. Fortunately my 6-year-old quickly forgot about the habitat and we went on with life. Last Christmas, however, a package arrived in the mail and my cousins had sent my now 7 1/2-year-old a brand new habitat as a gift. I will admit I felt the excitement jump back into my spirit when I thought about the caterpillar metamorphosis process, but still, there were no freeze dried caterpillars. So with constant urging and a pitiful looking sad face from my youngest, I broke down and ordered the caterpillars a few months later… okay, it was a lot of urging. So the caterpillars, a.k.a. The Chrysalis Brothers, arrived and we watched them grow from tiny, little caterpillars to gluttonous, lazy, about to burst, huge caterpillars… it was actually pretty amazing at how fast they grew. 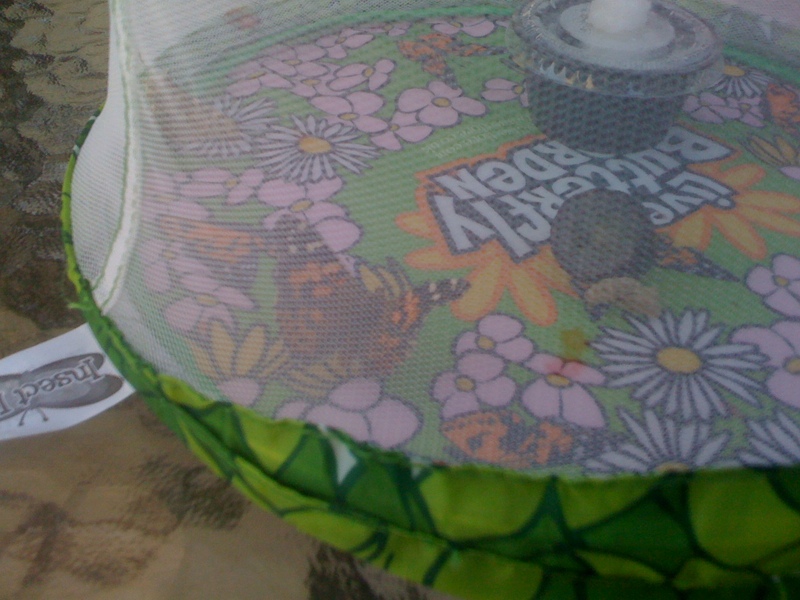 And soon they began to take their spots and form their very own chrysalis at the top of their habitat jar. Again, amazing to see God’s creativity in their little lives… so for days they sat and we waited for them to step out and show themselves as the beautiful Painted Ladies they were supposed to be. It happened and though we didn’t snuggle them or call all of our family with our excitement, we did find great pleasure in watching them mature and be able to fly. So interesting to have such a close-up view and watch. The instructions said that we were to let them go after a couple of days of observation so they could go into the world and multiply. We knew that day was coming… there was a sense of accomplishment with a bit of disappointment for having them for such a short period. We let them go and they flew like they couldn’t possibly fly in their small habitat…now they had the whole world… or at least the neighborhood and it was actually beautiful to watch. Watching them was a reminder to me that change is difficult… even when it is good change…. it often affects more than just those experiencing the biggest change. But when God ordains the change there is so much to be excited about and so much to be expected that staying in the little “habitat” inhibits what God can do. In Acts 11, Peter experienced others wanting him to stay in his “habitat” when he began eating with uncircumcised men. The circumcised believers began to complain until Peter told them how God ordained what he was doing. Then the men who had complained opened the habitat door and allowed God to do his thing. I can totally relate to the complaining men…. My neighbors are moving tomorrow….These aren’t just any neighbors… these are two people with whom I spent time with daily at work (I worked with both of them for several years) We’ve spent the day at the office together only to bring our families together at night for dinner. We have shared quite a few Thanksgiving and Easter dinners together, prayed together, we’ve each been included in each other’s family holiday times, spent accumulated hours talking on the porch or making s’mores at their fire pit and we’ve borrowed everything from mayonnaise to toilet paper. …. these aren’t just friends or neighbor’s … they are unrelated family. They are also in ministry and God has called them to another place. You know, it’s easy to be selfless when it doesn’t really matter… the Chrysalis Brothers left and though it was fun watching them and would have been fun if we kept them longer, it was also fun to let them go…. But when it matters, it is easy to be selfish… I don’t want my neighbors to go…. I want more hours of talking on the porch….I want those shared times together… I want to hide their “for sale” sign and I want them to stay…but God has called them to where they are going. They need to go to experience God’s freedom. I love them and will miss them terribly, but I know that doing what God calls us to do is the only way we can truly see the beauty of the flight. If we keep them from that then we only see a bit of what God can do. I must open the “habitat” and let them go… didn’t say it would be easy… I know they will be such a great addition to the state of Missouri. I love you, Howard and Shirley. You can fly away now…. Godspeed.